If you recognized the excerpt above as one of the many iconic Mark Twain quotes, then you are one of the countless fans of this time-honored author! Most people know Mark Twain, aka Samuel Clemens, from his numerous classic works, including The Adventures of Tom Sawyer, Adventures of Huckleberry Finn, The Innocents Abroad, The Prince and the Pauper, and many others. 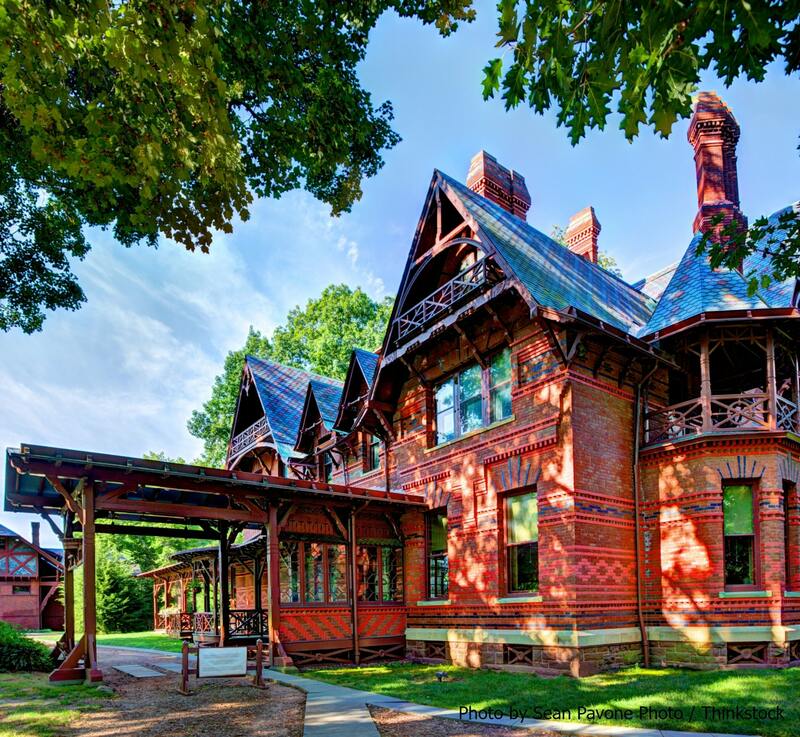 If you travel to Hartford, Connecticut, you can receive the opportunity visit the Mark Twain House and Museum, the exact spot where this famous, historical figure wrote most of his most beloved tales. 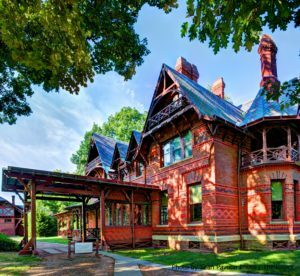 View this intriguing home, beautifully preserved since 1874, to see some of Twain’s original rooms, furnishings, and belongings, and explore the adjoining museum for further exhibits and attractions. Read through our top 5 reasons why you should visit this site and start planning your trip today! There are a few different tours offered at the Mark Twain House. Tour the home to learn more about the life of Sam Clemens and his family; you can also take a Holiday Tour during the Christmas season to see it beautifully adorned with decorations! They also offer an interactive tour that is similar to a live-action game of Clue, where visitors have to solve mysteries based around Mark Twain characters. Along with continually rotating special exhibits, the museum of the Mark Twain House contains many artifacts, such as artwork, photographs, love letters, and even Clemens’ last pair of spectacles. Stop by the mini-theatre to watch a short documentary about the life and works of Samuel Clemens. For years, visitors have been saying that they have seen mysterious happenings in this home and claim that the Mark Twain House is haunted. Staff members have reported hearing voices when no one else was around, seeing shadows out of the corner of the eye, and even tugging on their clothing. If you want to experience these paranormal encounters for yourself, you can brave the Graveyard Shift Ghost Tours to maybe get a glimpse of one of the house’s previous inhabitants! Here you can enjoy all kinds of entertainment, from plays by local performing studios to lectures from renowned authors! There’s always fun events at the Mark Twain House and Museum; make sure to continually check their calendar for the latest updates. Your amazing trip wouldn’t be complete without a souvenir! Grab a book, stationery, or other fun gifts at the museum store on your way out. They also have a small cafe, perfect for savoring a quick meal during your day exploring. 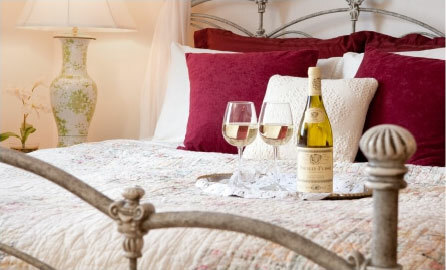 Come Stay with Us at Stonecroft Country Inn Bed & Breakfast! 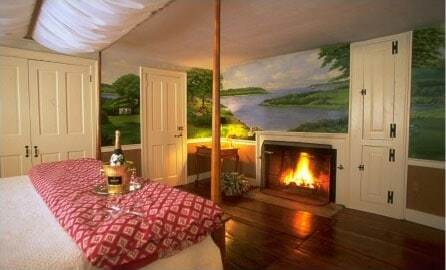 Make sure you stay in the best possible lodging during your getaway to Connecticut! Just a short drive away from the Mark Twain House and Museum, Stonecroft offers the most luxurious amenities, including comfortable rooms and a delicious homemade breakfast. Check our availability today! For more about things to do in Mystic, CT, download our free Vacation Guide!